A large group of protesters picketed an appearance by antisemitic congresswoman Ilhan Omar in Los Angeles. According to the Jerusalem Post, Omar was scheduled to give a speech to CAIR, a group that claims to advocate for the Muslim community, but has been frequently embroiled in terrorism and antisemitism scandals. The protester held up signs and banners saying "Omar equals hate," "CAIR hates Jews," and "Ilhan hates Israel." 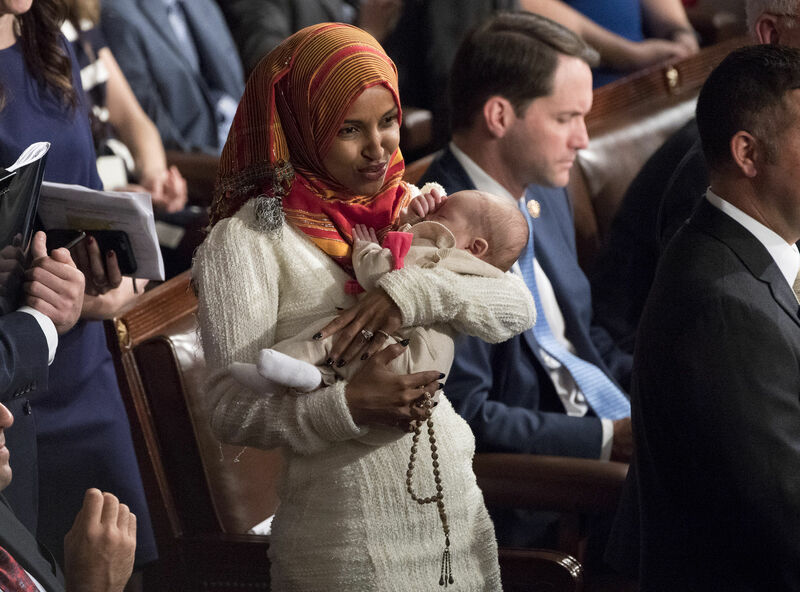 Omar has been caught making antisemitic statements several times, including the claim that American Jews have bought off members of Congress to support Israel.